I wish they made these in grownup sizes. 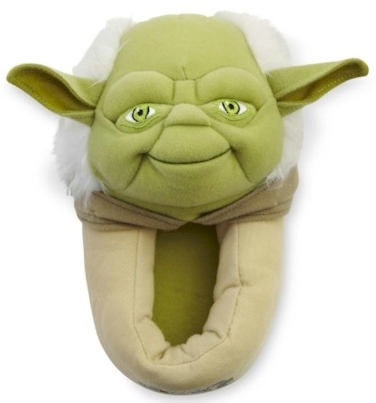 Kmart has Yoda and Darth Vader slippers priced at $4.99, available in toddler and youth sizes, on sale for buy-one-get-one-half-off (BOGOHO). So buy two of these, and the price drops from $9.98 to $7.48. (The BOGOHO takes effect right in your shopping cart when you add two pairs; no promo code needed.) Then you can use the 10% off promo code OFFERS10 to drop the price another $0.75 to $6.73 or $3.37 for each pair of slippers. Make sure you select store-pickup to avoid the shipping charges. This little piano is incredible. Walmart has got this Little Virtuoso Dance Hall Piano for $29.00 with free store pickup or $2.97 shipping (free shipping starts at $45.00). 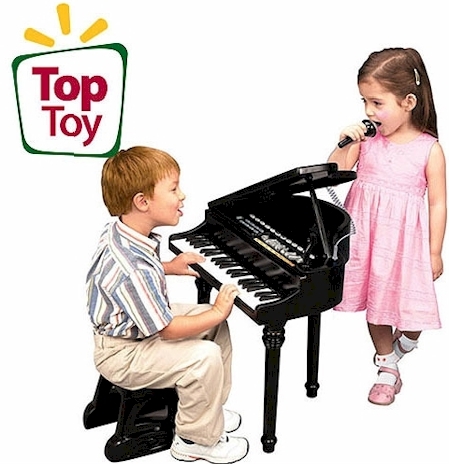 From the Walmart description: Give your child the chance to be your very own concert pianist with the Symphonic Grand Piano. This classic kids grand piano features 37 white and black keys that strike to produce great music. This versatile electronic instrument allows your child to choose and create melodious music from as many as eight instrument sounds, background music and rhythm. The instrument sounds include that of the piano, flute, guitar, organ, trumpet, violin, mandolin and music box. The metronome grand piano in a sleek black finish has 15 pre-recorded demo songs. This beautiful piano has a detachable microphone that allows your child to play the piano and sing along. The record and playback feature enables your child to compose, play and record her masterpieces. This piano comes with a built-in metronome feature that enables you to set the desired number of beats per minute to create different tunes. The piano set includes a concert stool at the perfect height for comfortable operation. In case you missed out on yesterday's Norelco PT720/41 deal, Amazon has got an even better one going on for the Norelco 6945/41! Get the Philips Norelco 6945/41 Electric Razor for $17.97 with free Prime/SuperSaver shipping on Amazon. It's currently priced at $27.97 and make sure to scroll down and "clip" the special $10.00 coupon on the item page to drop that price right down to $17.97. Close cut shaving system for close shaving. Flexing heads automatically adjust to every contour of your face and neck for a close, comfortable shave. Stays charged for up to 10 days of cordless shaving. Replace with HQ56 replacement heads every 12 months to keep a close shave. Customer may receive the box with 6945XL or 6945/41 labelled on it, both the model numbers are the same item. I had to check and double check this deal over and over again, because I couldn't believe that this was a brand new (NOT refurbished) Cuisinart, for basically half-price. 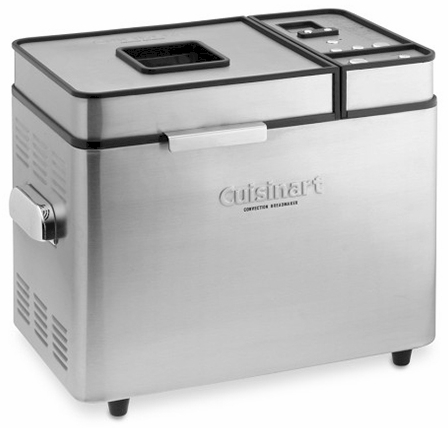 1SaleADay Flash Sale has got this Cuisinart 2lb.Breadmaker for $50.00 with free shipping, today, 11/30/12 only. 2 pre-programmed menu options, 3 crust colors and 3 loaf sizes offer over 100 choices. Cuisinart-quality technology promises superior crust, color and texture. Classic lines, embossed logo, and large, sturdy stay-cool handles. Removable lid with viewing window. Removable Kneading Paddle and Bread Pan. This deal will be available until midnight EST tonight (11/30/12) or more likely, until this sells out, so grab this fantastic deal NOW. This Nostalgia Electrics Vintage Collection Hot Air Popcorn Maker is only $19.00 with free Prime/SuperSaver shipping on Amazon. 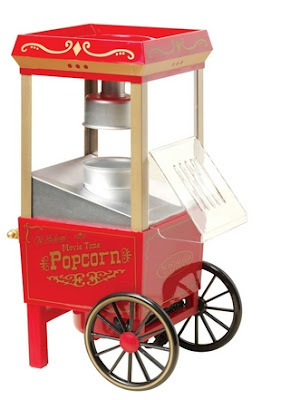 Plastic replica of old-fashioned street-corner popcorn stand. Uses hot-air instead of oil, creating healthful snack. Pops 3-1/2 ounces of popcorn kernels at a time. Measuring cap on top ensures proper amount of kernels. Tabletop size: 16-3/4 inches high, 7-1/4 inches wide, 9-1/2 inches deep. Bar Keeper's Friend is, hands-down, my favorite stainless steel cleaner for my Calphalon pots. I don't know how it works so well, but my six year old set of Calphalon pots looks nearly new, gleaming actually. This stuff is magic. It cleans a variety of surfaces but it's particularly great for stainless. Calphalon actually recommends Bar Keeper's Friend for cleaning their cookware. Print your coupon for $0.50 off any Bar Keepers Friend Cleanser here. 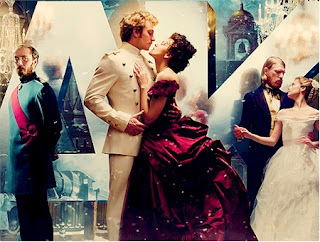 Have you seen the new Jude Law/Keira Knightly film Anna Karenina? After seeing it, you'll definitely want to take a crack at the wonderful classic Tolstoy novel. Hurry! 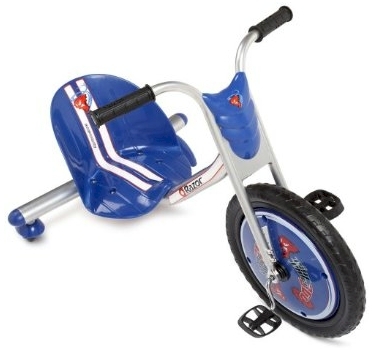 Get the Razor Rip-Rider 360 Drifting Ride-On for $62.25 (normally $129.99) with free shipping from Amazon now. This bike currently goes for $118.99 at Kohl's. Toys R Us has it for $99.99. The price started out an hour ago at $54.51 and has been climbing slowly, so grab it while the price is still low. This toy won Parenting magazine's 2009 School Years Toy of the Year. The maximum child weight is up to 160 lbs. 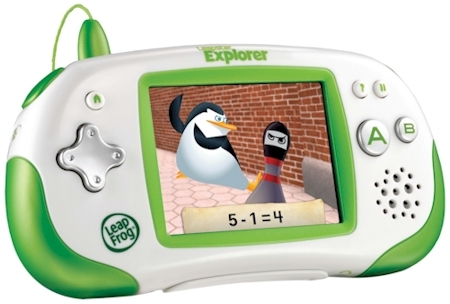 Get the LeapFrog Leapster Explorer Learning Game System for just $34.99 (normally $69.99) with free shipping from Amazon. 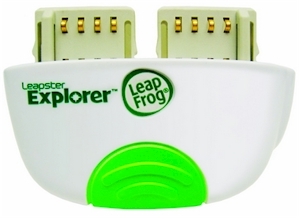 For use only with LeapFrog Explorer software. Not compatible with any other LeapFrog platform software. You can also get the LeapFrog Leapster Explorer Camera and Video Recorder for $10.99 (normally $24.99) with free Prime/SuperSaver shipping, over here. Together, these make an awesome Leapster gift package for $45.98 shipped total. Love country music? 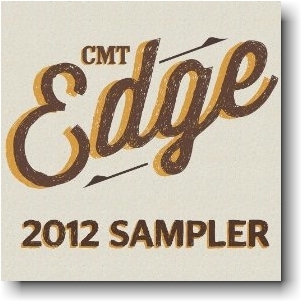 Download the CMT country music sampler free. Are you a country music fan? Download the CMT country music sampler from Amazon, for free. 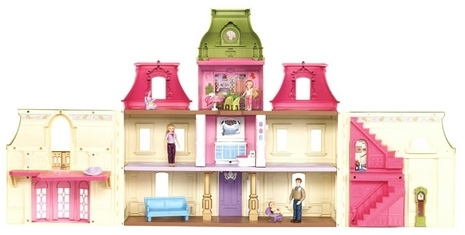 Amazon has got the Fisher-Price Loving Family Dream Dollhouse for $49.99 with free shipping. 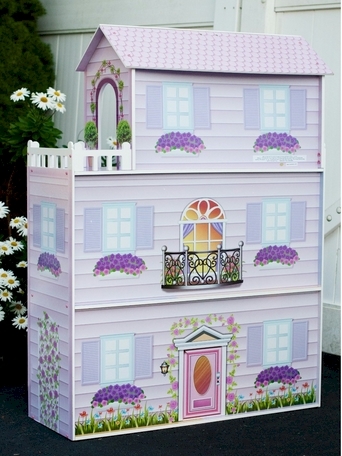 The dollhouse has 9 rooms, a solarium, winding staircase, and extra storage space. Features realistic sounds from phone rings to doorbells. Can play fun songs and lullabies. Includes a Mom figure, Dad figure, toddler and baby figures, a sofa, bouncer and tea sets. 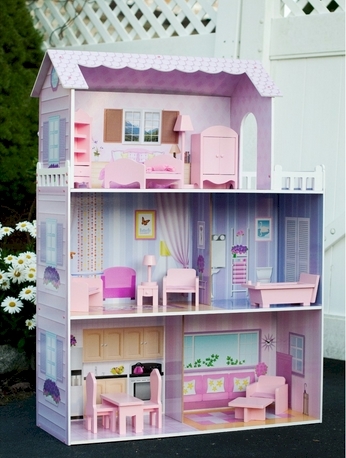 This dollhouse got 4-1/2 stars out of 5 over 28 customer reviews. Grab it before the price goes up. Cascade ActionPacs are on Amazon's Subscribe & Save AND have a $0.50 coupon, dropping their price down to $0.16 each. 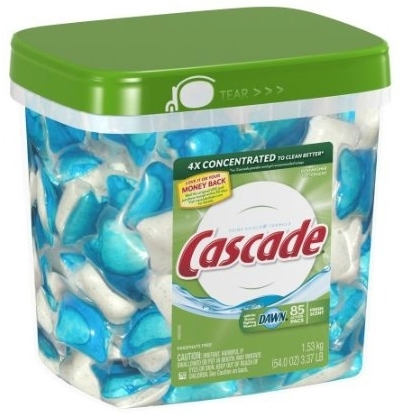 Click on over to this item: Cascade ActionPacs Dishwasher Detergent Fresh Scent, 85-count for $15.46. 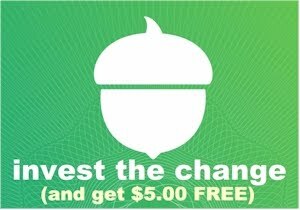 Scroll down to "clip" the $0.50 coupon. Select the Subscribe & Save option to drop that price down to $14.60. Check out. Because it's Subscribe and Save, shipping is free. With the coupon, your grand total is $14.10 shipped, or slightly less than $0.17 per Action Pac. A word about Amazon Subscribe & Save: Selecting Subscribe & Save is pretty much risk-free, even if you are doing it just to get the additional discount. 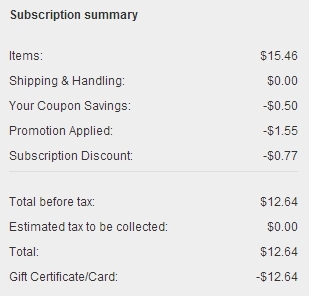 You can UNsubscribe to Subscribe & Save very easily, by going to your account as soon as your order has shipped. Even if (worse case scenario) you completely forget to unsubscribe, Amazon will not send out an additional order without shooting you a warning email first, giving you ample time to unsubscribe and cancel any additional orders in time. It's pretty much an all-win proposition. Shipping on Subscribe & Save items is always free. 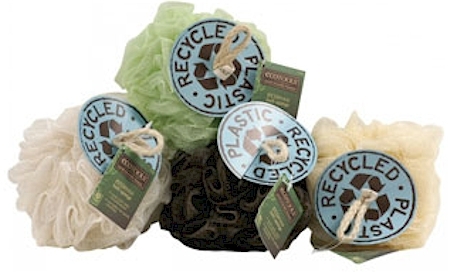 Target and Walmart both have Eco Tools mini bath sponges for $1.00, so with this coupon, it will be free. 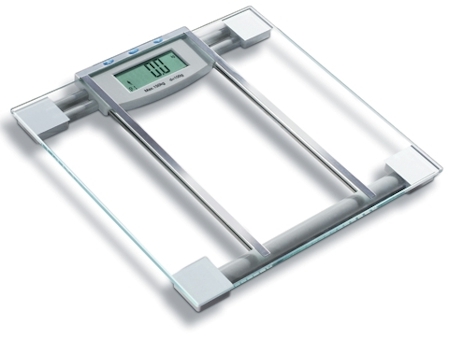 1SaleADay has got this HUTT SlimFit Premium 6-in-1 BMI Scale for $14.99 + $4.99 shopping = $19.98. The perfect way to track your diet and exercise. 6-in-1 scale measures: Body Weight, Water Weight (Hydration), Muscle Weight, Bone Density, Body Mass Index & Calories. Memory bank for 10 user profiles. Measures in pounds and kilograms. Maximum weight limit: 330 lbs. (150kg). The identical scale goes for $79.99 (!!!!) on Amazon. This 1SaleADay deal is good one today, through midnight EST, so grab it before it disappears. It's back! 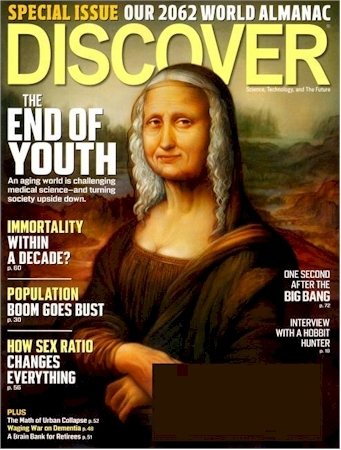 Today, 11/29/12 only, an annual subscription to Discover magazine is $4.99 per year (usually $19.99 per year) for up to 2 years, from Tanga, when you enter promo code DAILYCHEAPSKATE at checkout. Works with new subscriptions AND renewals. Discover is one of our favorite magazines (we are popular science junkies) and I love that we can get it for a song. Click here to get started. Remember, this offer is only good today, 11/29/12. Get the Philips Norelco PT720/41 PowerTouch Electric Razor for $24.00 with free Prime/SuperSaver shipping on Amazon. It's currently priced at $34.00 and make sure to "clip" the special $10.00 coupon on the item page to drop that price right down to $24.00. FYI, Target has this razor for $44.99. 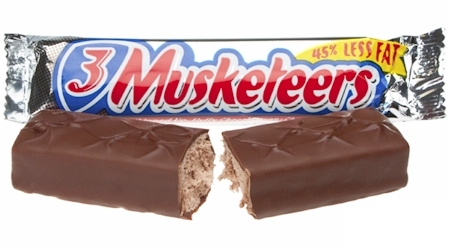 Print your coupon for Buy two get one free 3 Musketeers bars here. This deal is for Daily Cheapskate readers who do not keep kosher (although it is good outside of the USA, so those of you in Israel can use it at the kosher-Badatz Sbarros in Jerusalem!). Get a free slice of Sbarros pizza here. The coupon for a free slice will be sent to you via email. 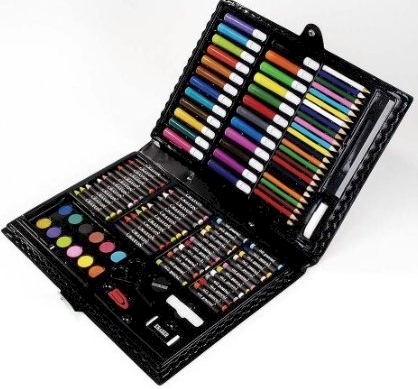 Amazon has got this 120 piece Darice Deluxe Art Set for $8.70 with free Prime/SuperSaver shipping. I posted this recipe for Shabbos Chanukah soup for the last two year...it's one of my dozen or so truly original recipes, and I like it enough to re-post it this year. 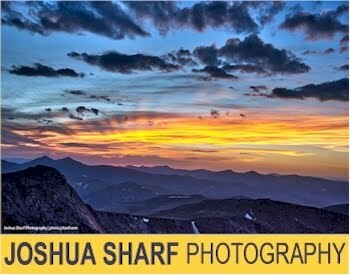 This year, Shabbos Chanukah comes out on December 14th and 15th. We don't have kids, but we usually do have company on Shabbos Chanukah, and I always make this soup because our guests' kids love it (and most of the adults like it too). It's nothing fancy or complicated, just basically my regular Shabbat chicken soup recipe with special Chanukah noodles. If you are partial to your own chicken soup recipe, go ahead and use it with the noodles. Enjoy. Recipe notes: I use leeks because I think they are a little milder and sweeter than onions, but feel free to substitute onions if you prefer. Chicken or turkey necks make the soup much richer. Wild carrots have a whole different flavor and sweetness from the skinny ones you buy in a bag or (God forbid) the pre-peeled baby carrots. I slice them horizontally to get bigger slices. I never use fresh dill in soup; it completely takes over the flavor of the soup. The frozen dill cubes can be gotten at most supermarkets; we use the Dorot brand. Starting the soup the night before, cooking it for a long time, letting it sit and then reheating it makes the soup taste better and gives it a great, golden color; I don't know why, but it does. On the Thursday night before, combine the leeks, necks, chicken, carrots, zucchini, parsnip, turnip, chives and dill in a stockpot of salted water, and bring to a boil. Reduce heat to a simmer. The soup should cook at a simmer all night. Shut it off the next morning, let it cool and sit, skim the fat off the top, and then reheat right before Shabbos. Now on to the noodles. 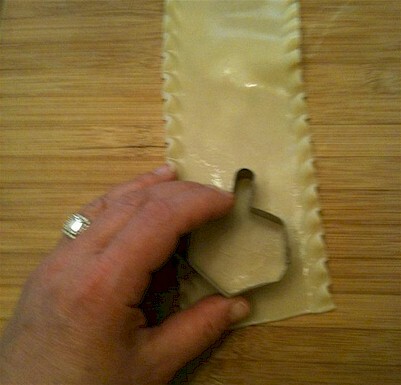 In a separate pot, cook the lasagna noodles in salted water until they are al dente. Drain, rinse with cold water and let the noodles cool. 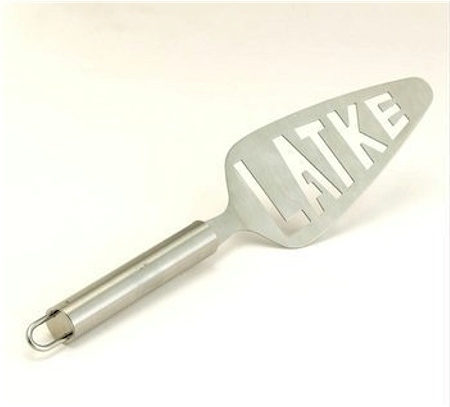 (Kashrut tip: if you boiled the noodles in a fleishig pot and your cookie cutters are pareve, let the noodles cool completely before using the cutters.) 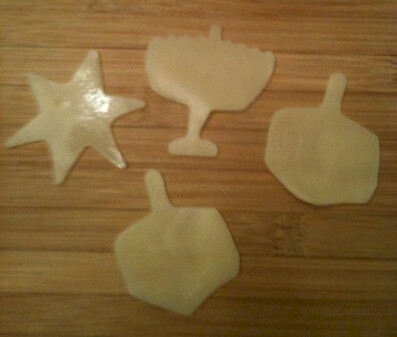 Lay the cooked noodles out flat on a cutting board and press out the menorah and dreidel shapes with your Chanukah cookie cutters. Keep the cut-out shapes wrapped in wax paper or parchment paper (so they don't stick to each other or dry out) in the fridge until you are ready to serve the soup. You can make these up to a week in advance. As you ladle the soup into bowls, float the noodle shapes on the top of the soup. 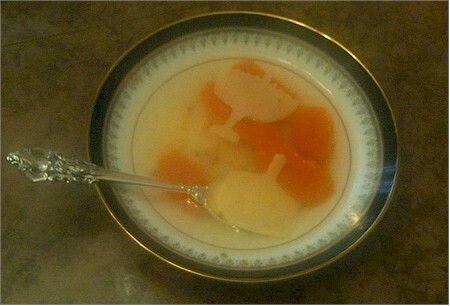 Voila, Shabbos Chanukah soup! 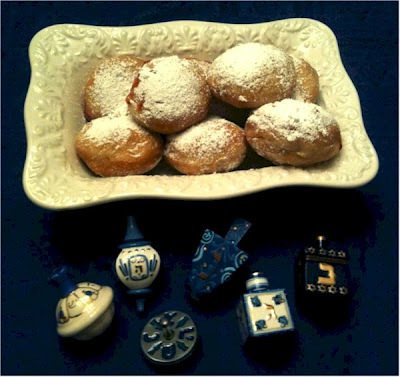 UPDATE: With Chanukah a mere ten days, here's my Rhodes Dough Sufganiyot recipe from my guest post on the Rhodes blog last year. Put on your yarmulka...here comes Chanukah! If you've been reading DailyCheapskate for a while, you know about my love affair with Rhodes bread dough. Rhodes dough is versatile, very reasonably priced, and most importantly, delicious. And now, <drum roll> for Chanukah, I've guest-posted my recipe for Rhodes Dough Sufganiyot up on the Rhodes blog. These sufganiyot were fun, easy, and super-frugal to make, and I gotta tell ya, they taste really good. Please click on over here, read my recipe and leave a comment and let me know what you think! And a very happy Chanukah to all DailyCheapskate celebrants! Amazon has got a 30 lb. 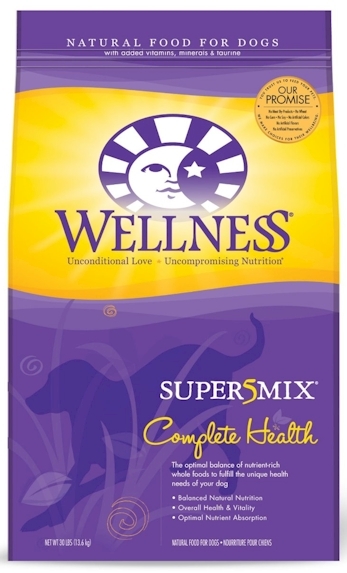 bag of Wellness Super5Mix Complete Health Chicken Recipe for $9.99 (or $8.99 if you pay with your Mastercard) with free Prime/SuperSaver shipping. They are out of stock, but you can order it now and lock in the price. I bought two bags and now I'm, thinking I should probably buy two more. This is roughly about a fifth of what this high-end dog food should actually cost; Petsmart has it for $51.99, no joke. This one will disappear fast, so grab it while you can. 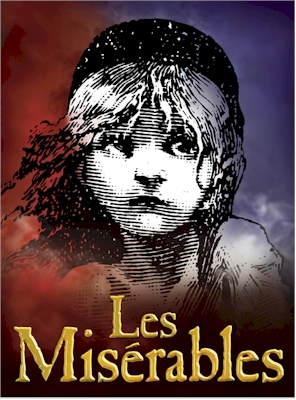 Download your free copy of Les Misérables for Kindle here. (If you're an iPad user, learn how to easily read Kindle books on your iPad here and then download Les Misérables as well.) The Les Misérables movie is coming out on 12/25/12 this year, so you might want to read the classic Victor Hugo book before going to see the film. Muir Glen Organic has a new coupon on their Facebook page. 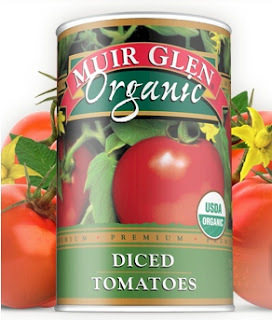 Save $1.00 on two cans of any flavor or variety Muir Glen Organic tomatoes here. Also, if you haven't already don't forget to print your $0.50 off one can Muir Glen Organic coupon here. Enter to win a Kitchen Aid stand mixer from WomanFreebies. Like the WomanFreebies Facebook page, and fill out their 10-second form to enter to win a KitchenAid Artisan Series Stand Mixer (value $349.99) in the color of their choice. Then enter here to win an iPad Mini from WomanFreebies. 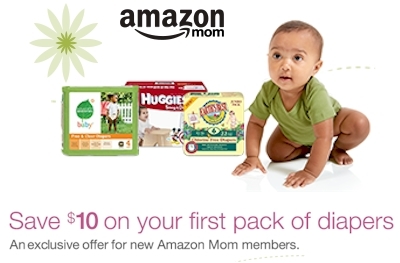 New members to Amazon Mom, you can now get $10 off your first pack of select diapers. That means that when you order your first shipment of diapers, you can combine the $10 discount and 20% off subscription benefit, and your order ships for free. This offer is valid for first-time Amazon Mom members only, and the $10 promotional discount must be used on the diapers listed here within seven days of joining. Remember, you don't have to be an actual mother to join Amazon Mom...just a caretaker of a small child. Fathers, grandparents, aunts and uncles can also join as well, so if you already had a membership, perhaps you can sign your spouse up in order to take advantage of this limited offer. 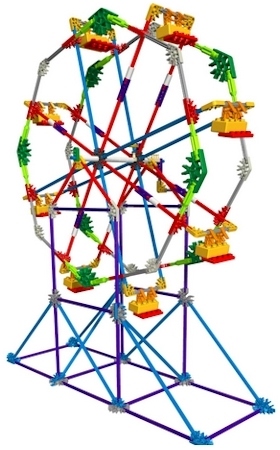 Amazon has got this value sized 400-piece K'Nex for just $10.97 with free Prime/SuperSaver shipping. 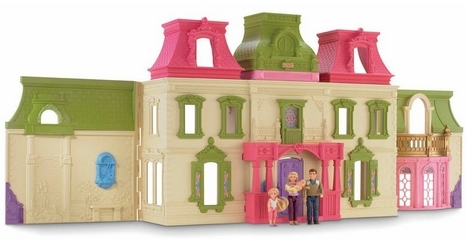 This well-rated building toy got 4 out of 5 stars over 58 customer reviews. 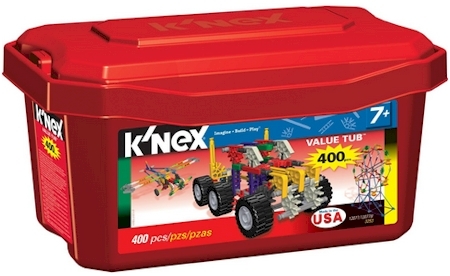 Packed with 400 parts, including bricks, rods and connectors, for lots of open-ended building fun. Includes ideas/instructions for 20+ models or use your own imagination. Handy storage tub means you can take the fun with you and clean-up is easy. 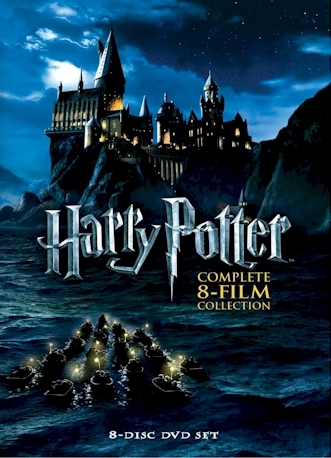 Amazon has got the entire set of Harry Potter films (8 movies) for $33.49 $27.99 with free shipping! 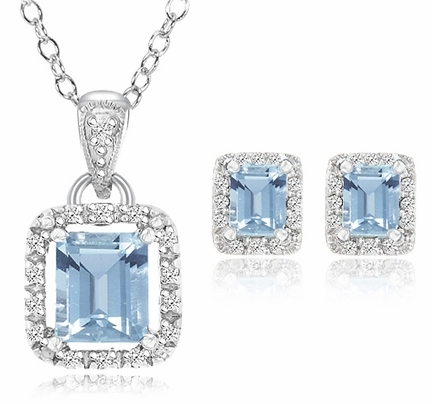 1SaleADay is having a special sale on this 5.5 carat, emerald-cut blue topaz and genuine diamond, sterling silver pendant & earrings set: $17.99 with free shipping. Hurry, this special deal is only available today, 11/28/12 only. Print your coupon for $0.50 off one bag of Kettle brand potato chips here. 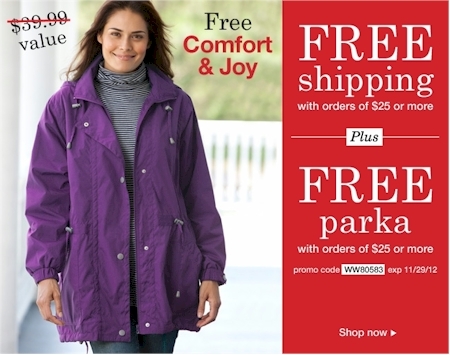 Get a free parka and free shipping with your $25 purchase at Woman Within, when you enter the promo code WW80583 at checkout (promo code is good through tomorrow, 11/29/12). If you don't wear plus-size clothing, there are lots of well-priced accessories (scarves, hats, gloves, etc.) that you can get instead. Put at least $25 worth of merchandise in your cart, enter promo code WW80583 and the parka will appear in your cart. You can then select your parka size (L, 1X-4X). Your shipping will be free. This offer expires tomorrow, 11/29/12. Get started here. What an awesome Chanukah gift for the right little girl! This Fancy Dollhouse is nearly three feet wide and more than four feet tall, giving young children tons of space for taking care of their favorite dolls. With three levels of fun, imagination, and make believe, this new addition is sure to keep your child entertained for hours. Rooms are open with no walls, to feature a convenient and easily accessible play time. 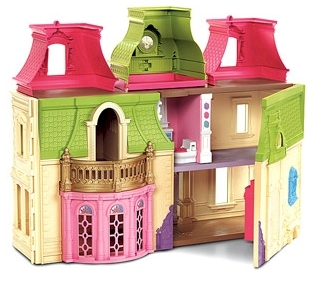 This adorable dollhouse is full of fun and interactive features. 14 hand-painted furniture pieces and accessories, includes pieces for the kitchen, living room, bedroom and bathroom. The doll house is made of Eco-Friendly wood. All paints are fully non-toxic. Accommodates fashion dolls up to 12” tall. Dimensions (Width x Depth x Height): 32" x 11.5" x 51.5"
Remember, this deal is for today (11/28/12) only, so grab it before it disappears.